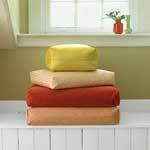 Sewing projects to add to your home's decor can be easy or somewhat challenging, it all depends on the pattern and your sewing experience. Probably the best thing about sewing projects for home decor is you can make a room come alive with matching prints, textures and colors. 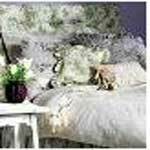 If you love to sew you will certainly enjoy browsing through the home decor patterns below. 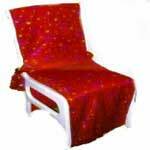 Choose from a long list of projects such as a toaster cover, place mats, chair cover, drapes and many more. 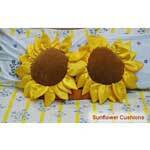 Brighten up your room by making these easy pillows that look like a sunflower. This toaster cover tutorial covers exactly how to measure and make your toaster covers. 25 different sewing projects for home decor from sewing.about.com. 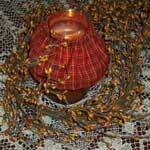 Free instructions on how to make your own scented hot pad in just 30 minutes. 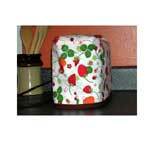 Brighten up the kitchen with a summer table runner. Takes about 30 minutes. Make your own tailored throw pillows. With just a little ribbon you can customize your own bath mat. 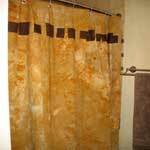 Making a shower curtain from your own fabric is a really simple project. 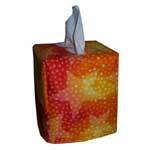 Instructions and diagrams to make your own tissue box cover. 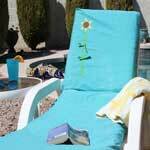 Use something as simple as a twin sheet to cover your patio furniture or even a futon. 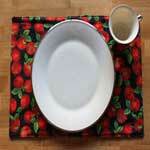 Easy directions to make a simple placemat. Instructions to make a simple yet decorative chair cover. Choose from several projects, including a pillow case, pot holders, fabric candle ring, pennant flags, sewing machine cover and hot pads. 3 pages of assorted home decor sewing projects. These easy do it yourself projects make decorating your home easier that ever. 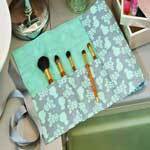 This is a perfect way to re-use old clothes, sheets, towels, and any thing else you can find. 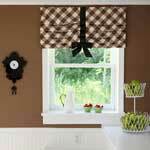 Making window treatments can be done in a weekend when using the instructions found here. 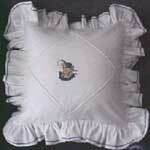 Find instructions to make this lovely 14 inch pillow for your home or as a gift. 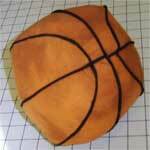 This is a great pillow for a bedroom with a sports theme...so start cutting. 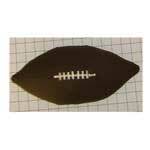 For all the kids that play football this is the pillow for their bedroom.